Don't Buy a New Spring Wardrobe; Make Your Old Clothes New Again! Don’t Buy a New Spring Wardrobe; Make Your Old Clothes New Again! Tomorrow is the first day of spring, so you’ve probably got some serious spring cleaning on your mind. While common wisdom tells us to throw out the old and go buy a new spring wardrobe, why not try making the old new this year, both by yourself and with the help of a local seamstress or shoe repair store? First and foremost, look through your closet for all the things that don’t fit. If your clothes don’t fit properly anymore (thanks to your fantastic winter diet), take them to your local seamstress. Even though they’re from last season, wearing these clothes in a new size can help you feel good about yourself and serve as a constant reminder of just how much good comes from keeping a commitment. If some of your clothes have minor rips or tears, a seamstress could easily fix those up, too. How about your worn-out sandals? If you still like them, consider visiting a shoe repair shop to have them resoled. It might actually be less expensive than buying a whole new collection. Finally, you should take the time to clean anything stained. Or, if you’re feeling particularly handy, try a DIY fabric dye. Dying your clothes can put some real spring back into old articles and makes a great afternoon project for the kids during a spring break. 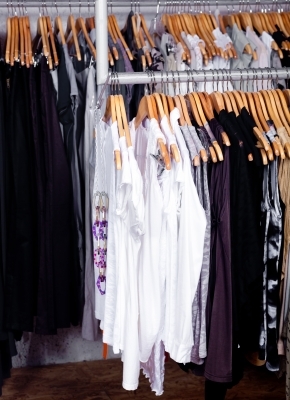 Do you have any other ideas to revitalize old clothes for a dazzling spring wardrobe? Leave a comment and let us know. This entry was posted in Fashion, Wardrobe and tagged diy, dye, old clothes, seamstress, shoe repair, spring wardrobe. Bookmark the permalink.